This section will allow you to enter or change a score as well as any other information about a game. If you have been assigned as a Coach, Asst Coach, or Manager of a team you have the rights to enter and edit scores for that particular team. 1. Log in using your email address and password associated with your profile. 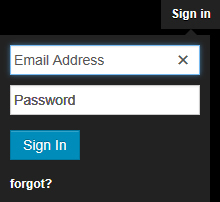 If you can not remember your password just enter your email address and click on Log In. Instructions regarding your password will be emailed to you. 2. To find your team, select "Teams" from the menu tabs from the at the top of the page. 3. Select "Results" from the menu pages at the left. 4. 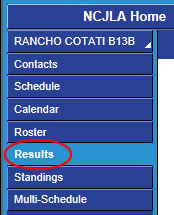 On the team results page, find the game you wish to edit and click on the "Edit" icon to the right of the game. 5. 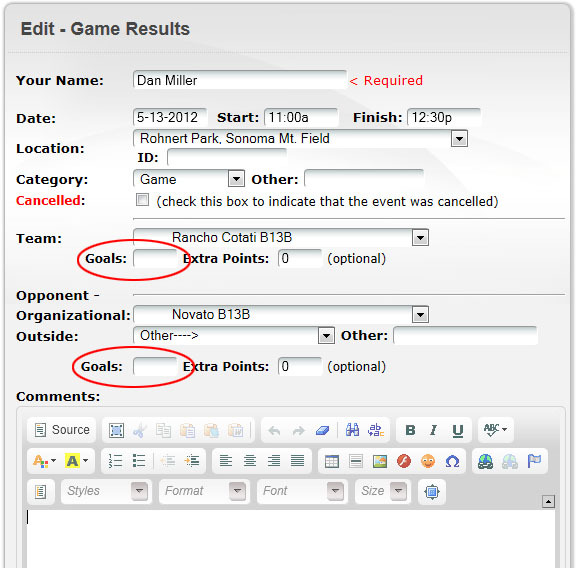 Enter score or any additional result changes and optionally, game commentary. 6. Click “Submit” to confirm changes.